Just Children Child Care Centers will be shifting gears pretty soon from summer fun to back to school! While it may not seem too different for the children who spend their summers with us here at Just Children, the focus shifts back from fun in the sun to learning fun! Kids get older, and some move up classrooms to the next age level. They will make some new friends, meet new teachers, and develop both mentally and emotionally. 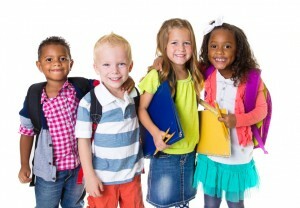 Socialization is very important for our young ones, and it better prepares them for first grade and beyond. We love to hear at the end of a year how much the students have grown and come out of their “shells” as they turn into young students. Some children enter Just Children clinging onto their parent’s leg, and end up crying when it’s time to go home! They look forward to going to school every day where their friends are. Pretty soon the new school year will be upon us, and we never get tired of seeing the new and returning faces each and every day. They grow up so quickly, and it’s never more evident than when they return each year or enter their new classrooms. Child care is so much more than watching children while their parents are at work. Just Children Child Care Centers are preparing our students for their future while having a bunch of fun at the same time! Contact a Just Children Child Care Center near you today, and we’d be happy to answer any questions or concerns you may have, and as always, visit any time with no appointment necessary. If you are new to our center, please download our enrollment form. We hope to see you soon, and can’t wait for “back to school”!